Netflix isn’t making any major, sweeping additions to its streaming library during the month of December, but what it is adding will make for a very merry Christmas indeed. Nostalgia is the name of the game, with the streaming giant ushering “Almost Famous” and “Romy and Michele’s High School Reunion” into the ranks. You can check out the full list of new films below, along with Indiewire’s top picks from the list. Patrick Fugit, in his first starring role, plays an aspiring teenage music journalist in Cameron Crowe’s autobiographical coming-of-age story. Set during the 1970s, “Almost Famous” follows Fugit’s character who, after landing a gig writing for Rolling Stone, sets off on the road with the fictional band Stillwater. Crowe makes up for Fugit’s lack of star power by surrounding the young actor with an all-star supporting cast, including Billy Crudup, Kate Hudson, Frances McDormand and Philip Seymour Hoffman, among others. Hudson’s performance as Stillwater groupie Penny Lane garnered her a Golden Globe Award for Best Supporting Actress and a nomination in the corresponding Oscar category. If you’re looking for a delicious dose of nostalgia this holiday season — nostalgia for the seventies and the nineties at the same time, because let’s face it, a film made about the seventies at the end of the nineties is bound to be intimately shaped by both — then “Almost Famous” should be right at the top of your Netflix queue. Martin Scorsese’s controversial box office smash hit from last year makes its way on to Netflix just two weeks shy of December 25, which is the day it received its original theatrical release. 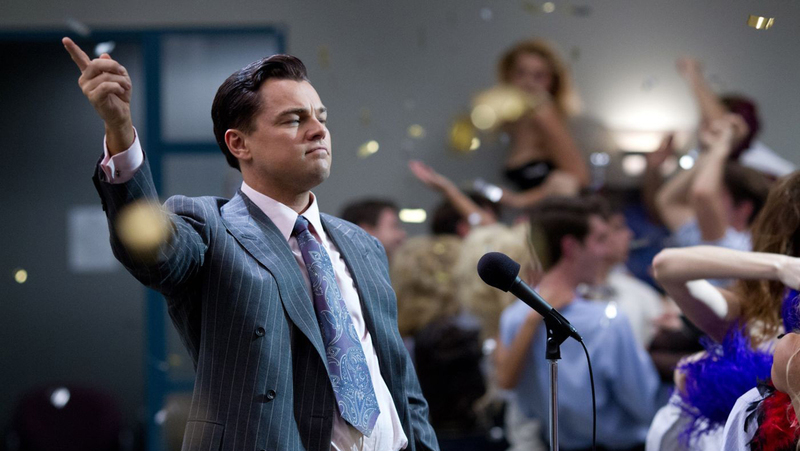 Leonardo DiCaprio stars as the real-life, now former stockbroker Jordan Belfort, a hedonistic broker who defrauds his clients out of millions of dollars during the nineties. Scorsese’s film is based on Belfort’s memoir of the same name and, in many ways, can be seen as the spiritual descendent of Scorsese’s “Goodfellas.” Throughout the year, “The Wolf of Wall Street” repeatedly drew criticism for the supposed deification of self-indulgent behavior. But what appears as deification to some is actually farce for others. So for those of you who enjoy the occasional dose of farce — we understand it is an acquired taste — “The Wolf of Wall Street” has got your fix for you. Comedians Steve Coogan and Rob Brydon re-team for this follow-up to Michael Winterbottom’s 2010 film, “The Trip.” Just as in “The Trip,” Coogan and Brydon play fictional versions of themselves. In the film-verse, both men are food critics for The Observer. Together, they travel the globe, visit restaurants and pass judgement on the work of others — which is, in Coogan and Brydon’s case, cooking. “The Trip to Italy” not only brings Coogan and Brydon back together for another film, but it also focuses the story in a specific national and geographical region. If you’re looking to chart a course through some part of Europe without having to leave the comfort of your own couch, Winterbottom’s “The Trip to Italy” is the perfect film for you.